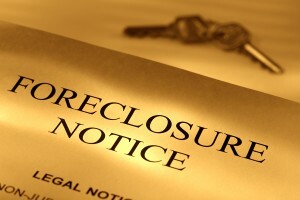 How Can A Toledo Attorney Help You Avoid a Home Foreclosure? Most people want the American Dream. They get a job, work hard, save their money, and buy their first home. For many, owning a home represents a new phase in adulthood and maturity. Maybe this was your dream, too. But, what do you do when that dream is threatened due to a declining housing market, suffering economy, and financial instability? If you’re behind on your mortgage, or struggling to make those high-interest monthly payments, you’re not alone. Last year (2013), Ohio was among the top 10 states with home foreclosure filings. This can be bad news for homeowners like you who need help making outrageously high mortgage payments, but receive little to no assistance from mortgage lenders. Instead, you are provided with impossible hoops to jump through and costly application fees due to your plummeting credit score. Fortunately for you, a foreclosure in Ohio takes an average of 18 months to complete. This provides you with plenty of time to make arrangements and discuss all of your options with your bank or mortgage lender if you act quickly. If the bank is threatening foreclosure on your house, one of the smartest things you can do to keep your home is to contact a Foreclosure Mediation attorney. Here are a few things you should know about home foreclosure and your rights and options. First of all, the bank really doesn’t want to be stuck with your house. Chances are, if you’re struggling to make your monthly payments, your house is underwater. That means that it’s worth significantly worse than you owe on it. This can be a costly loss for a bank to take on. They usually will work with you under the right circumstances if you want to remain in your home. A foreclosure mediation program will work to benefit both you the homeowner and the lender. You get to keep your house and they will get their money. Your attorney will act as an impartial third-party to mediate any and all discussions between you and your mortgage lender. Your attorney will help you understand everything you need to know about the process, financial stipulations, and the requirements that you’ll need to meet. Your attorney will also ensure that the lender does not take advantage of you due to your temporary financial hardship. Your Foreclosure Mediation Program may allow for you to have a loan modification or a loan refinance, reach a repayment agreement, or complete a short sale. The ultimate goal is reach a mutual understanding that will work out best for you as the homeowner, and still appease the lender who wants to be repaid. In Ohio, the foreclosure process is a judicial matter. This means that the lender must file a lawsuit against you through the state court in order to foreclose on your house. This can be a costly matter and can be time consuming. If you want to stay in your home, and just need some assistance in lowering your monthly payments, your lender may be more willing to work out an arrangement in order to prevent the legal hassle that is associated with a home foreclosure. Please don’t let another day pass by without seeking the legal help you need to prevent your home foreclosure. You’ve worked hard to make your dream of home ownership a reality. Don’t let that dream slip through your fingers if you don’t have to. Contact me today to learn more about preventing home foreclosure in Northwest Ohio. If you need the help of a skilled and committed law professional contact Toledo attorney Michael E. Bryant’s Toledo, OH law office today.